While Halong Bay radiates the beauty of a gorgeous and dazzling woman, Bai Tu Long Bay is more of like a pure, enchanting young girl with its untouched mountains, beaches, and parks. The bay has a rich biodiversity with two ecosystems: a tropical, moist, evergreen rainforest ecosystem; and a marine and coastal ecosystem. Due to its geographical position, located in the east of Halong Bay, quite far from Cat Ba island and adjacent to the territorial sea of China, Bai Tu Long Bay is almost forgotten by visitors. Therefore, it is so pristine and unpolluted, a “must-see” place for travelers who prefer wild nature. In 2006, Bai Tu Long Bay has been found in the top 5 greatest tourist destinations in Southeast Asia, according to a poll hosted by the eco-tourism company Gecko Travel (UK). According to legend, from millions of years ago, when Vietnam was conquered by invaders, the Jade Emperor sent the Mother Dragon and her child to help the people. 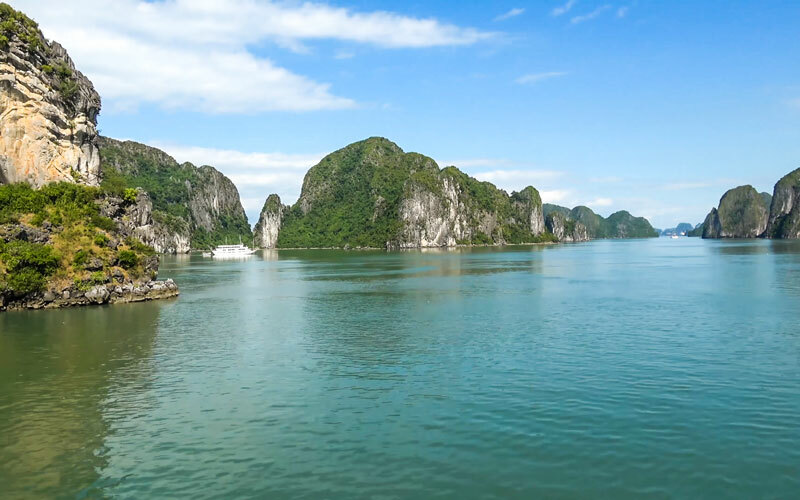 After winning, the dragons did not come back to the fairyland but decided to stay on earth, where the Mother Dragon descended which is now called Halong Bay, and where the Young Dragon descended is Bai Tu Long Bay. Prominent attractions of Bai Tu Long Bay are Vung Vieng fishing village, Quan Lan Island and Co To Island. There is also Bai Tu Long National Park, one of seven National Park of Vietnam, possessing both on land and sea ecosystems.